Player of week history 2017/18 | Yankee United F.C. Jessica Mazo produced 2 goals and 1 assist at Jefferson Cup Tournament helping the team achive finalist placement for their bracket of 16 teams. 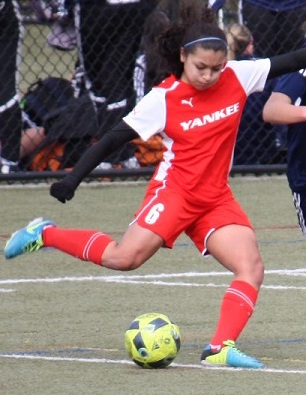 Jessica has been with Yankee United for 7 years and has committed to play at Uconn with a full 4 year scholarship.